Former Director Tara Herrington of Living Space Theatre from Dublin at the Abbey theatre for the first Waking the Feminists event. 10 IRISH THEATRE companies have come together to bring about gender equality in their arena – and the move will include gender-blind casting and unconscious bias training for some of them. After 18 months of work, Gender Equality in Practice in Irish Theatre was launched today. This is the gender equality policy of The Abbey Theatre, Cork Midsummer Festival, The Corn Exchange, Druid Theatre, The Everyman, Dublin Theatre Festival, Fishamble: The New Play Company, The Gate Theatre, The Lir Academy, Rough Magic Theatre Company. This significant move comes in the wake of the launch of Waking the Feminists three years ago, which aimed to bring about awareness of the need for gender equality in Irish theatre. Gender Equality in Practice in Irish Theatre began after #WakingTheFeminists drew international attention to the gender inequality that then existed within Irish theatre. While each organisation has its own policy, together the 10 agreed on the following. However, it’s understood that the measures don’t apply in a blanket fashion to all 10 organisations. To achieve gender balance in programming within a five-year period. Over the past year and a half, the 10 organisations agreed that the process had to be a learning experience and say that the amount of time it took to achieve the policies is an indication of the commitment to the subsequent outcomes of the process. All policy statements have been ratified by the boards of the theatre organisations. The policies are now active and all involved have undertaken to review their progress and measure results regularly. The organisations say they feel they are leading the way for other art forms who have yet to address gender equality in their respective sectors. 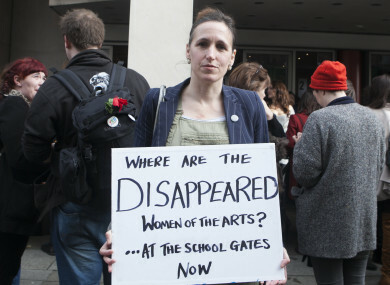 They also hope that their policies will provide a template for other theatre organisations and cultural sectors to adopt. Email “Gender-blind casting and unconscious bias training on the way for some major Irish theatre companies”. Feedback on “Gender-blind casting and unconscious bias training on the way for some major Irish theatre companies”.